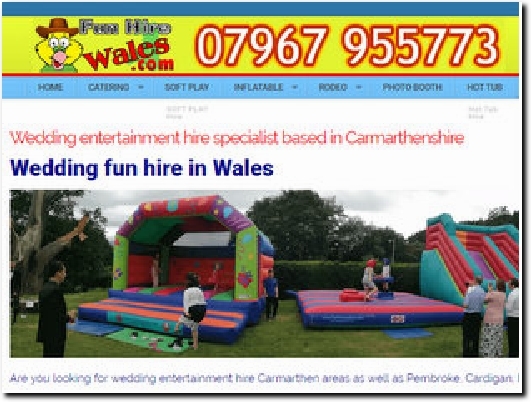 A company based in West Wales supplying bouncy castles and a wide range of other fun items for weddings and a variety of other occasions. They also do event catering and hire photo booths. Use tabs to access the choices available, while Booking Terms & Conditions and FAQs can be found at the foot of each page, as can phone and e-mail details. Secure payment taken via PayPal and major cards.